The jewel in Camden Lock’s crown has got to be the Regent’s Canal. Named after the Prince (who else? ), this royal waterway is over 200 years old – and after a morning spent in the Market, a lazy cruise down it is just the ticket. The London Waterbus, moored in our West Yard, runs regular trips up and down the canal on romantic narrowboats. 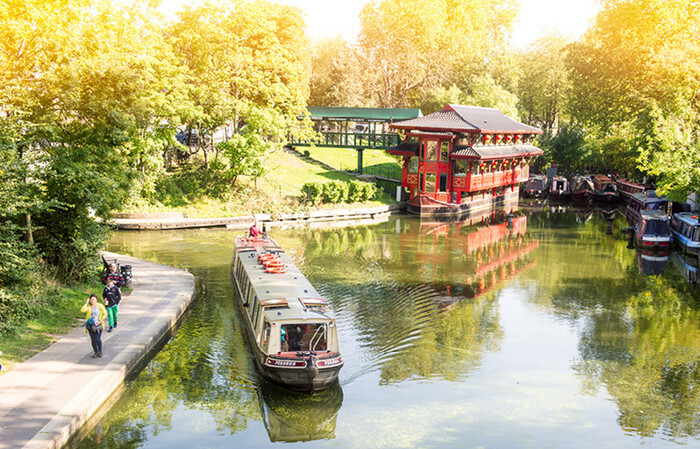 The waterbus runs an hourly service every day through summer from Camden Lock to Little Venice and back again. So take in the lively bustle of the Market first – picking up a coffee from Lantana or a juice from The Good Yard – before cruising down the leafy waterways at a leisurely pace. Got to get your train back home from Paddington? Little Venice is right next to Paddington Station. 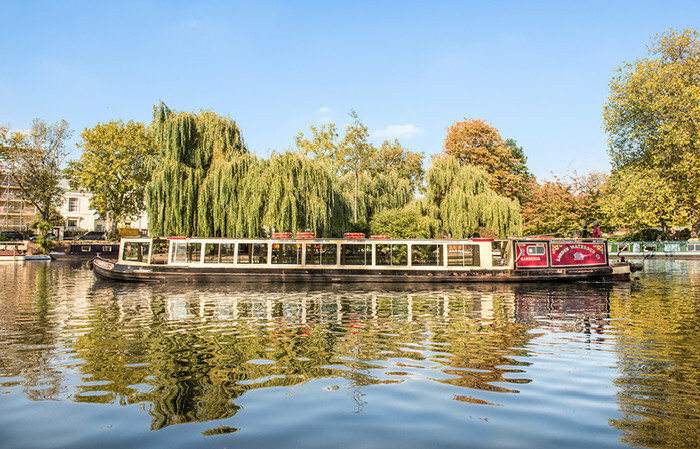 Whether you’re interested in the history of the wrought iron bridges, the elegant Georgian and Victorian houses, or simply where the famous people live – and there are a few – the Waterbus team can fill you in. J. K. Rowling, Michael Bond, Earl Spencer, Paul Weller and Madonna all live, or have lived, along the route. While you’re unlikely to see any celebs in their back gardens, keep your eyes peeled for Egyptian geese: a rare African bird that has made a new home for itself on the canal. 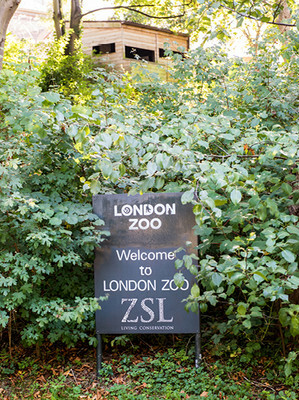 The London Waterbus has its own, queue-free entrance to London Zoo, which is home to 17,000 animals, great and small. The Penguin pool is a consistent favourite and there’s a newly-opened lion enclosure for 2016. London Waterbus guests pay special low prices (£25 for adults, £18 for kids*). 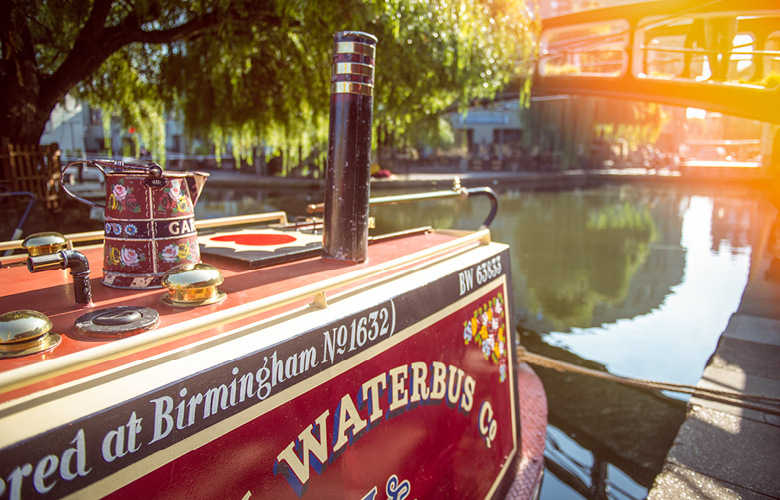 The sun-drenched surroundings of Little Venice make for perfect picnic conditions. Heading to Rembrandt Gardens, one of London’s tiny Victorian parks on the right hand side of Browning’s Pool. If you’ve got kids, make sure you have oats, corn or peas to feed the ducks. For a full timetable and more info on trips and fares, click here. *Tickets are one way and include entry into the Zoo. Ticket prices are correct at time of publication.